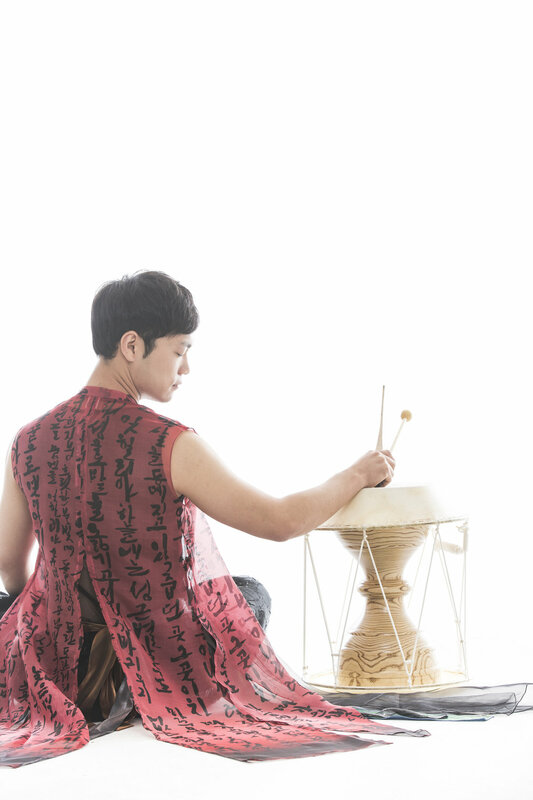 Korean drummer Hong Sung Hyun presents Chobeolbi, a collaborative project that showcases his work across various traditional Korean percussion instruments. Chobeolbi (초벌비) translates to ‘rough rain,’ a potent metaphor for a project that aims to “fill the parched hearts of people living in the rough modern world.” Hyun’s main instrument is the janggu, a traditional drum identified by its hourglass shaped body and differently pitched drum heads. Historians have traced the origins of this drum to the reign of Korean King Munjon of Goryeo (1047-1084), where it was used as a field instrument. Through Chobeolbi, Hyun pushes Korean percussion away from its traditional supporting role and transforms it into the center point for melody and story.